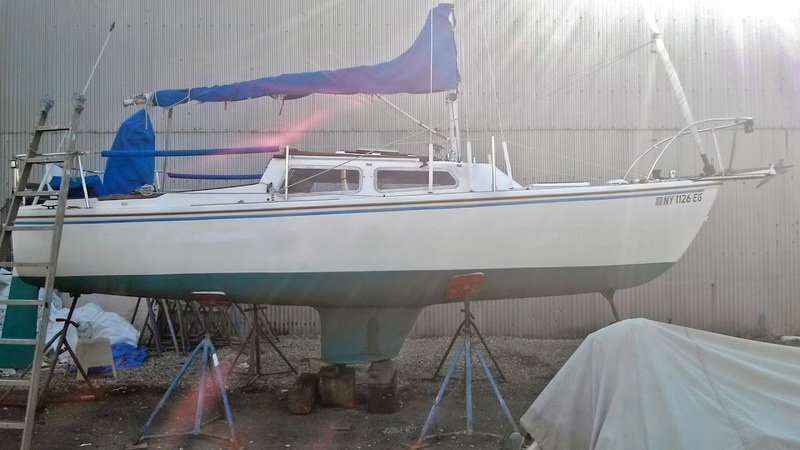 This boat is a Sloop with a Mast-head Rig, and 205 sq. feet of sail area. She has 2 Sails, Including Main Sail, Genoa. She has a Wing-keel. 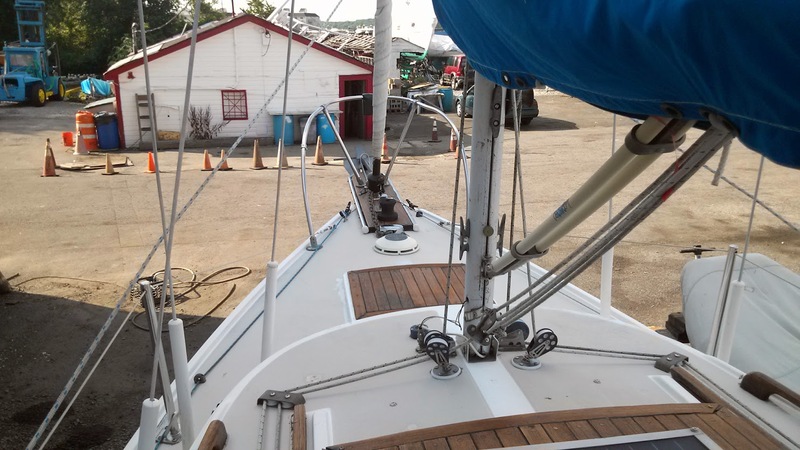 The Hull is Original Gel-coat, and is in Recently Restored condition. 1 Evinrude Gas (Outboard) Engine, 9.9 horse power with Hours. Wheel Steering, Helm Station, Solid Boom-vang, Anchor-roller, Bow-sprit, Cockpit Engine Controls, Cockpit Wash-down, Stern-rail, Swim-ladder, Outboard Motor. Now is your best opportunity to get on the water while the season is still long. Because you can be sailing in this Catalina 22 in less time than it takes to buy a car. 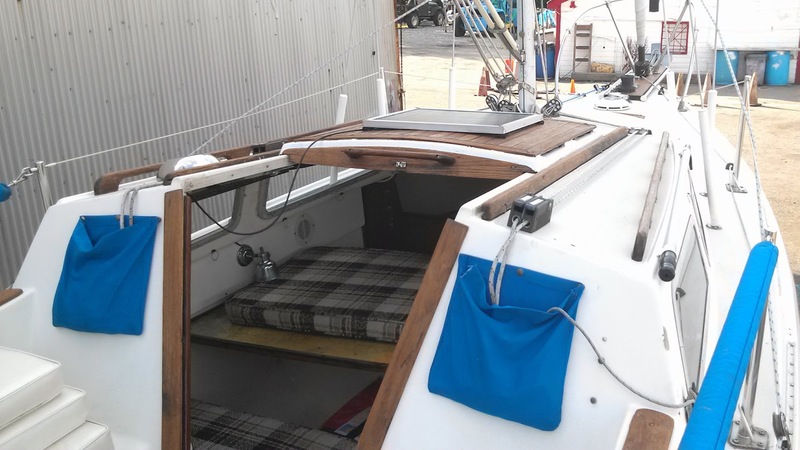 This Catalina 22 has many upgrades and added features. You’ll have better control, because she has a wheel helm, and all lines are lead aft. That means better control, sailing her right from the cockpit. Her winged keel means more stability and a shallower draft. You will have more fun swimming from her swim-ladder, when you shower off in her cockpit wash-down. The Catalina 22 is one of the most popular sailboats ever built, with over 15,000 hulls. 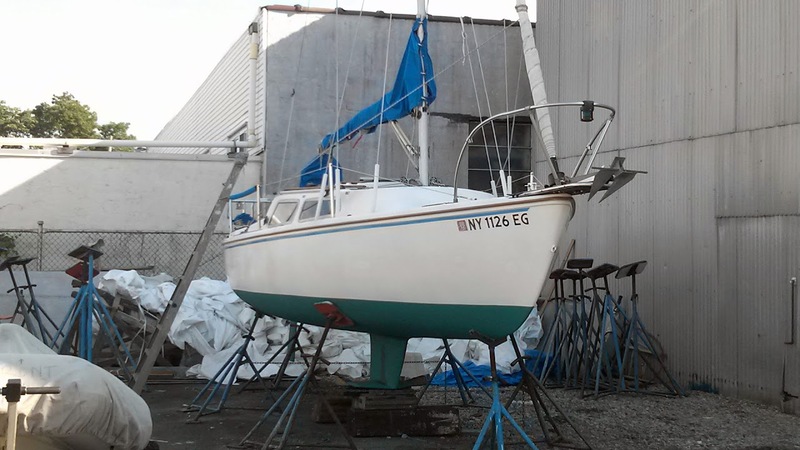 She is one of five sailboats made charter members to the Sailboat Hall of Fame. That means a boat that can handle, and host three or four adults comfortably, and still feel safe enough to cruise for several days. If you have been looking for an affordable sailboat with all the perks of the cruising life, than this Catalina 22 is perfect for you.